Pro Co Data, an RHC Holdings brand, introduces its new DURACAT Solid-Core CAT6 Cables, ideal for digital transmission of data signals, at InfoComm 2014 (Booth C9516). Intended for use in a wide range of environments, DURACAT can be used for portable, permanent or live audio/data applications. 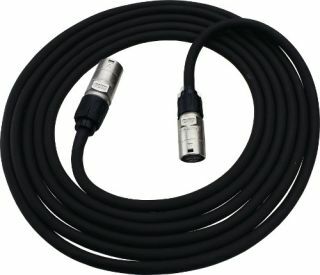 It can be used for connectivity between consoles, amps, DMX lighting control and digital snakes, among other computer data signal equipment. Available in single (DURACAT), double (DURACAT2X) and four-time (DURACAT4X) run options, each solution can be custom cut from one to 330 feet. The interiors are comprised of one, two or four 23AWG solid bare copper cables encased in .225-inch jackets for use with standard RJ45 terminations, such as the Neutrik EtherCon Series RJ45 connector. The rugged cables are housed in a sturdy flame retardant, thermoplastic PVC outer jacket and .3-inch sub cable jacket, both of which ensure enhanced durability for portable applications and harsh environments.